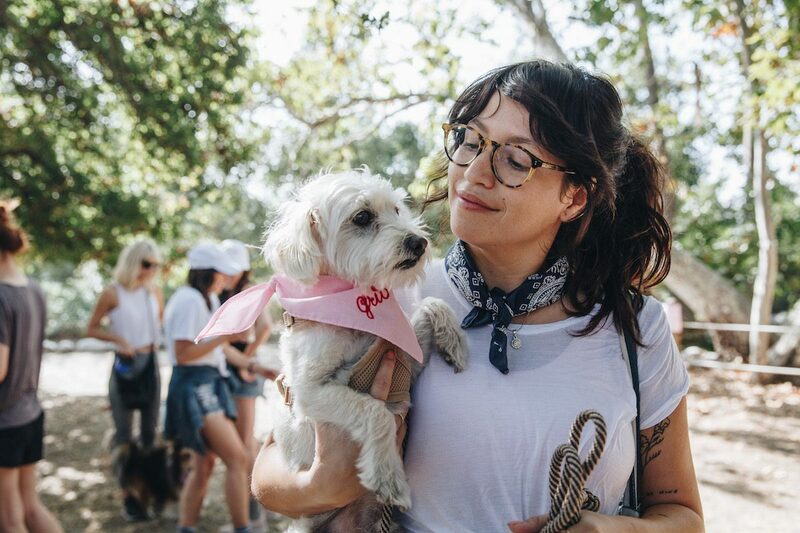 In case you haven’t noticed, we LOVE dogs. 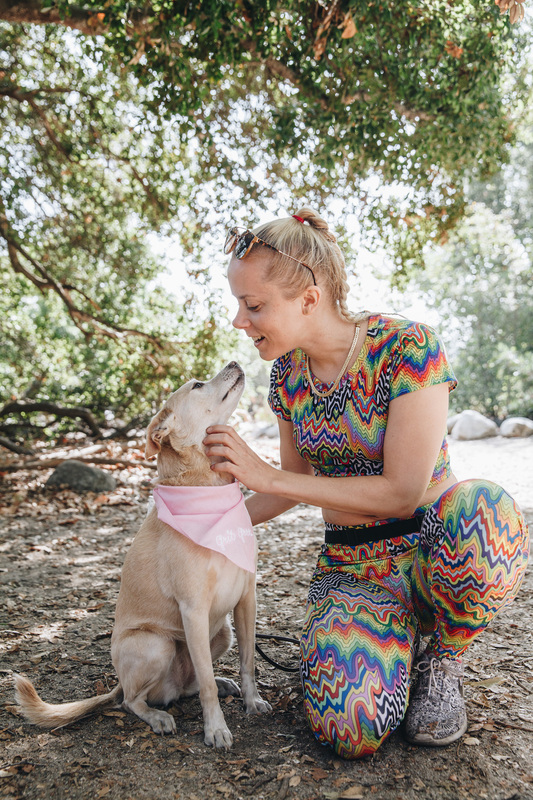 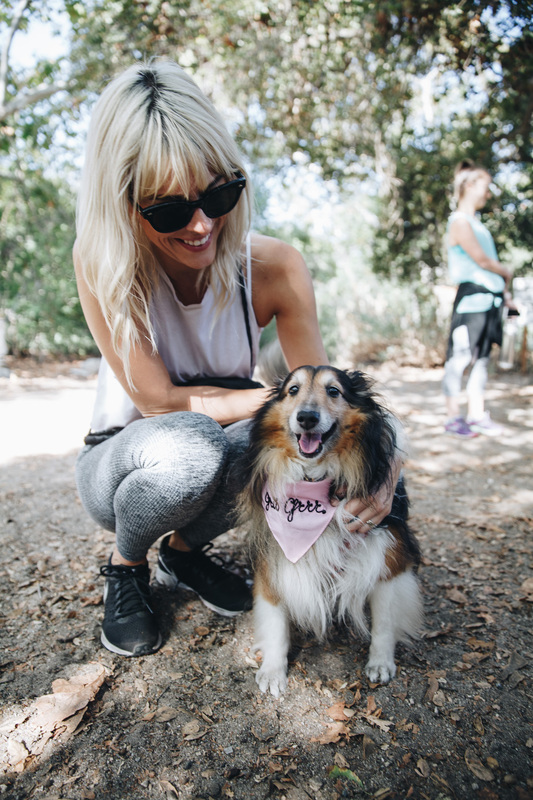 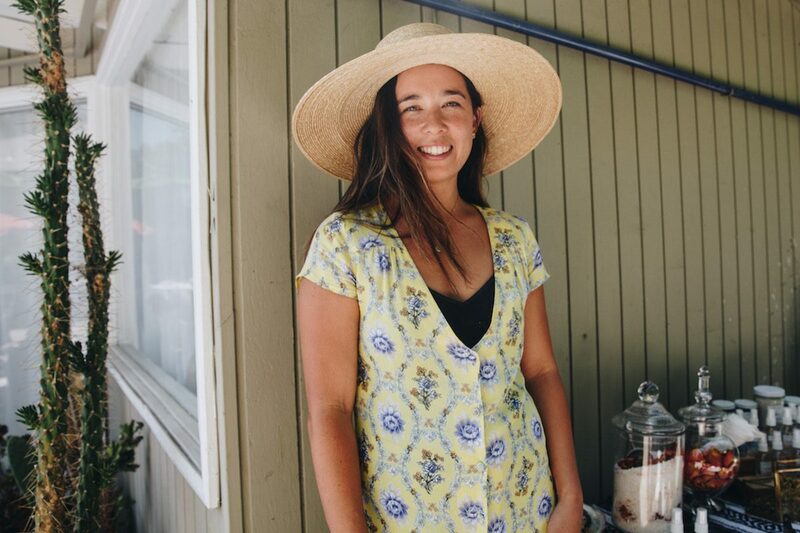 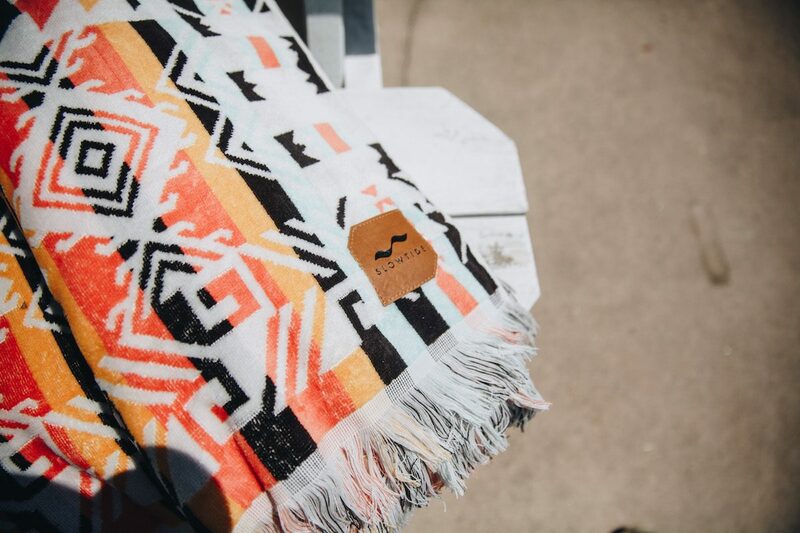 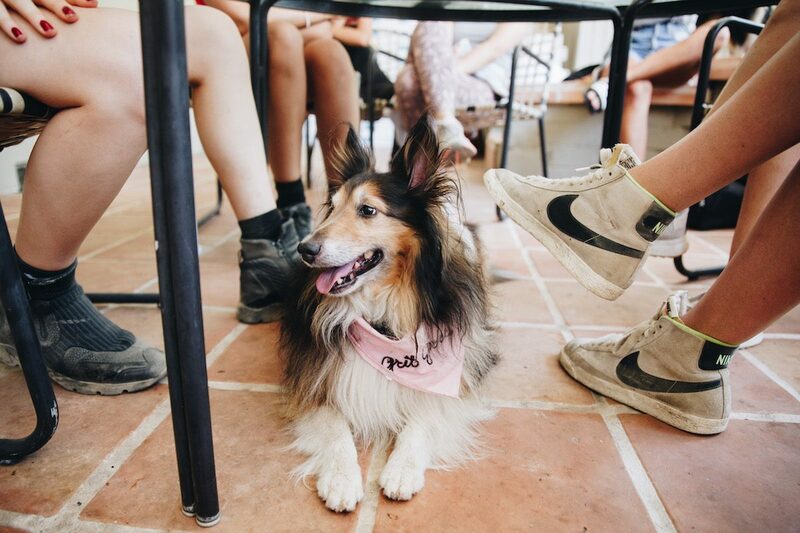 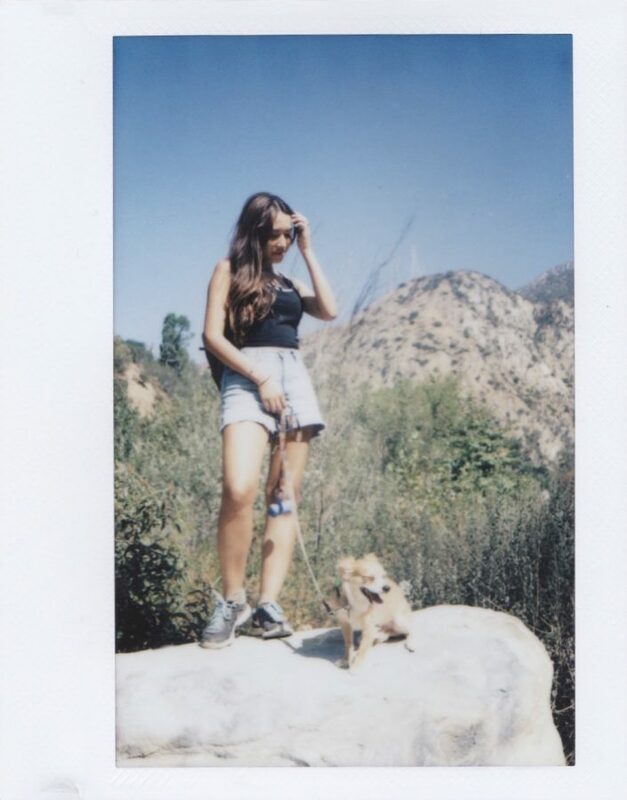 It was a natural decision to incorporate woman’s best friend into our latest Grit Girl Hike hosted by Brook Power, our ongoing collaboration with California not-so-basic basics brand Richer Poorer. 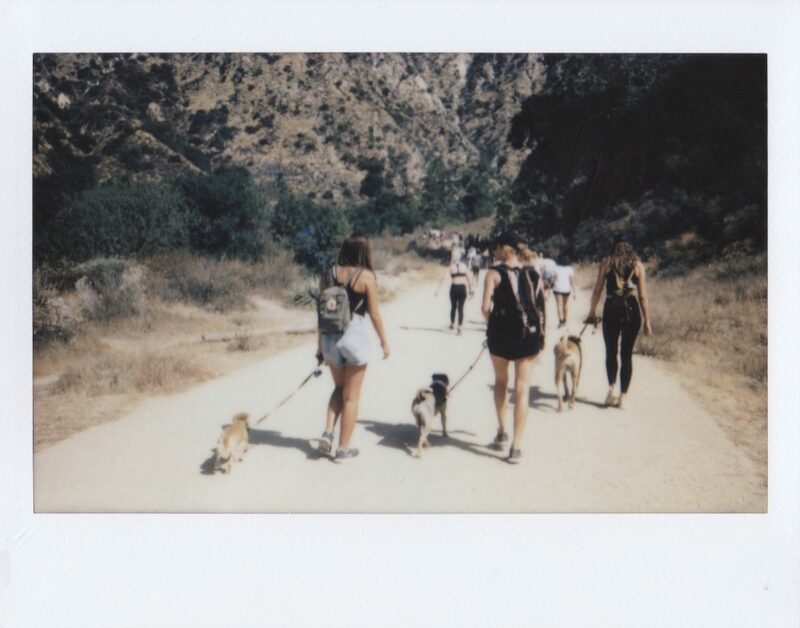 I mean, who doesn’t want to spend a day hiking with their pup and a gang of new friends? 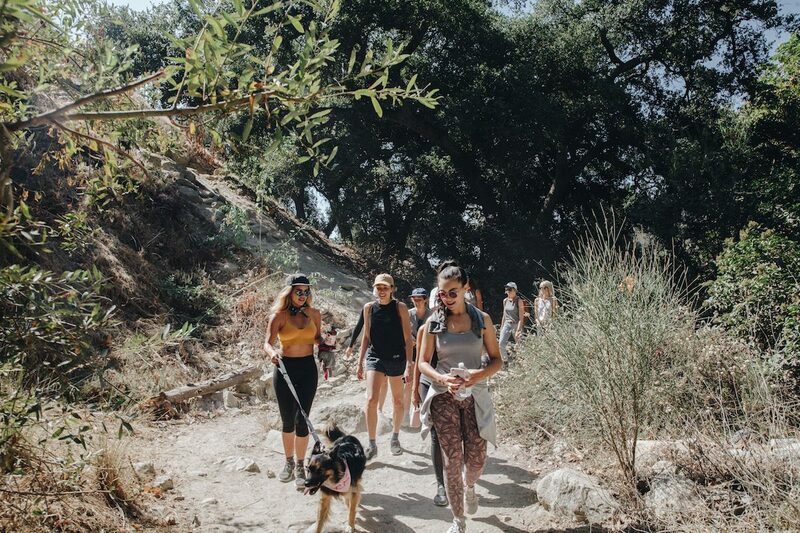 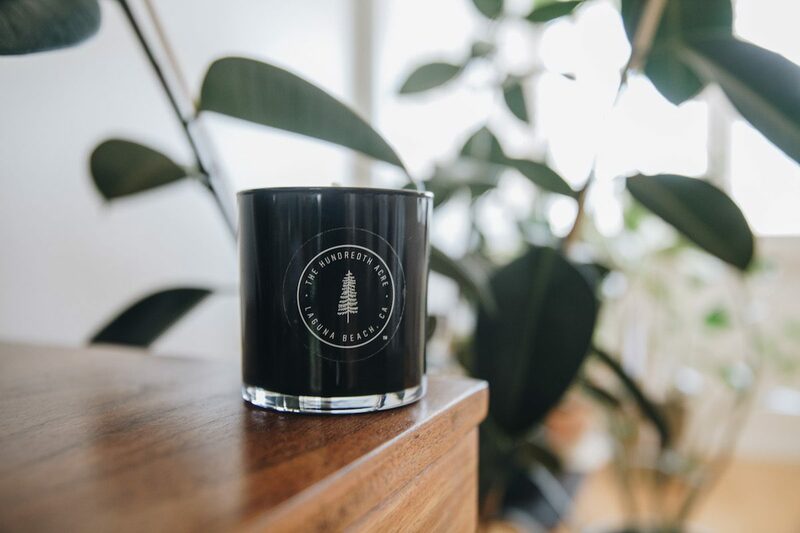 We were thrilled to bring together familiar faces and new personalities alike for a day of finding our grit and finding our zen with Brook and Holy Smokes. 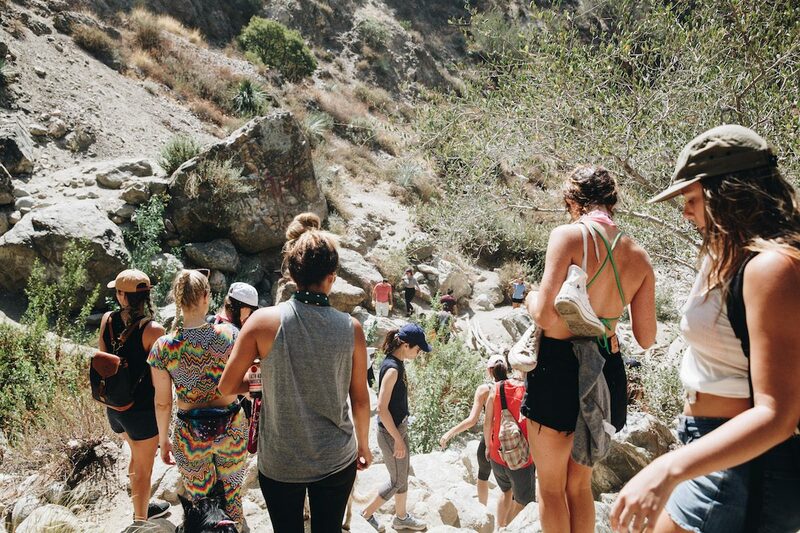 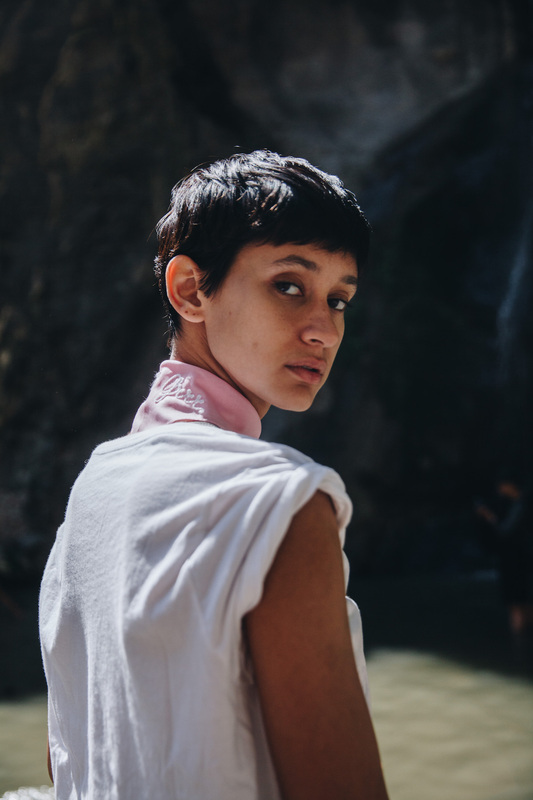 Meeting at Eaton Canyon in Pasadena for a hike to one of Los Angeles’ most treasured waterfalls, we rounded up nearly 30 influential creatives. 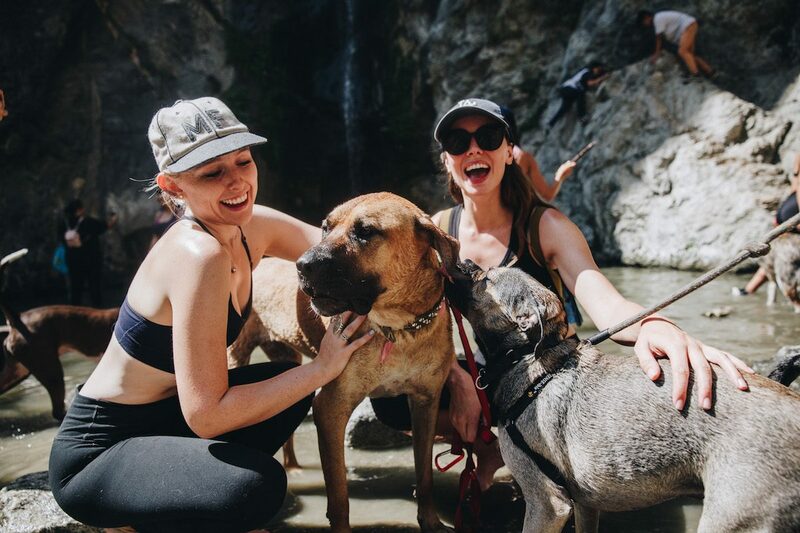 With our best behaved canines in tow, our group stretched across a four mile trail, crossing shallow streams and shaded hills until we hit the falls. 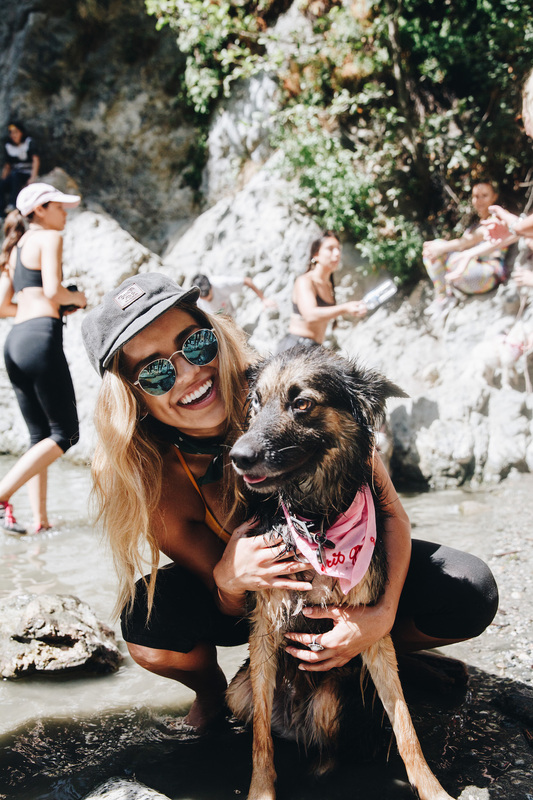 It was just the right amount of challenging – the instance our legs began to ache, we were back at our meeting point to sip water and nibble on a bite before heading to a nearby home for the second leg of our festivities. 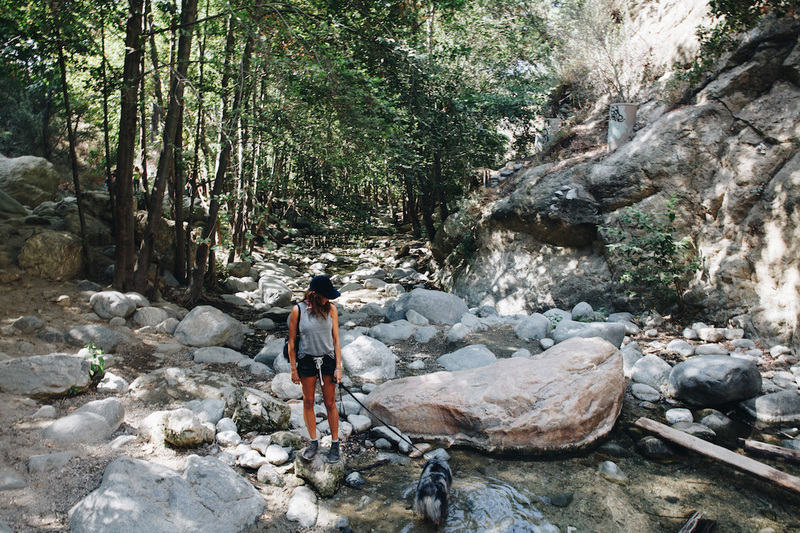 One of the most magnificent aspects of Pasadena is the quiet that surrounds it. 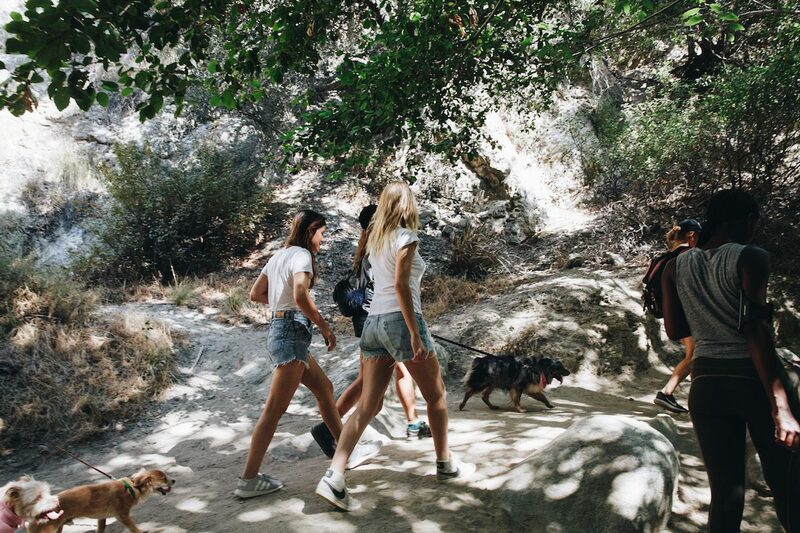 You’re in suburban Los Angeles but it feels a touch more country than suburbia. 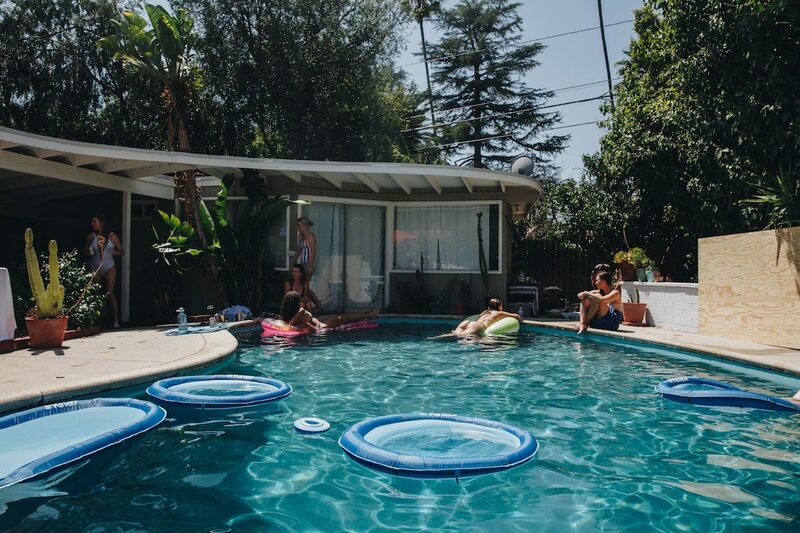 Heading to a nearby cottage equipped with a sparkling pool to continue the activities, we invited some of our most favored allies to join us. 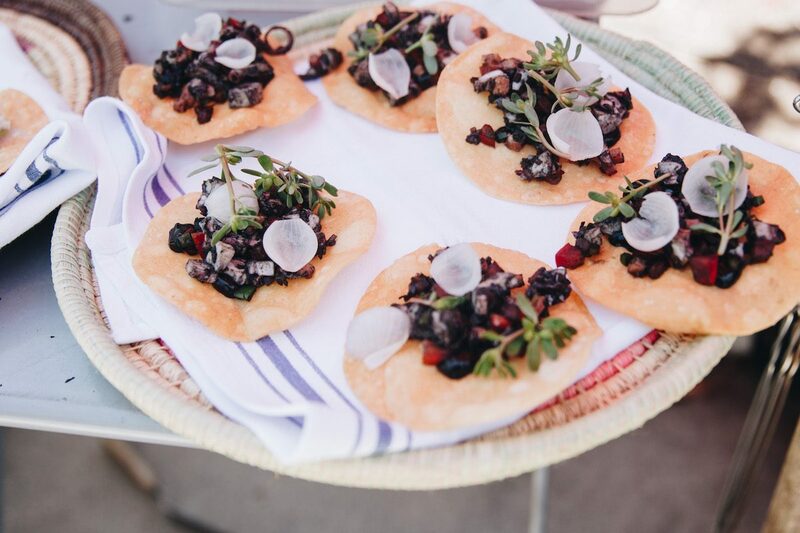 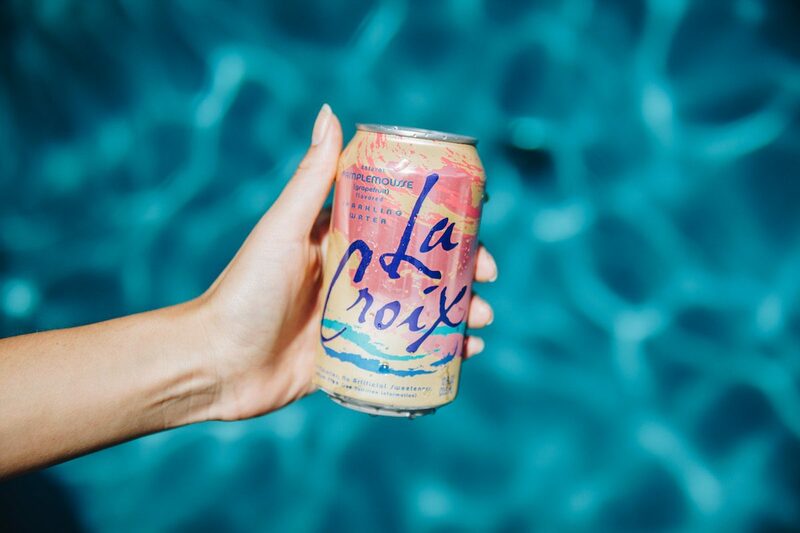 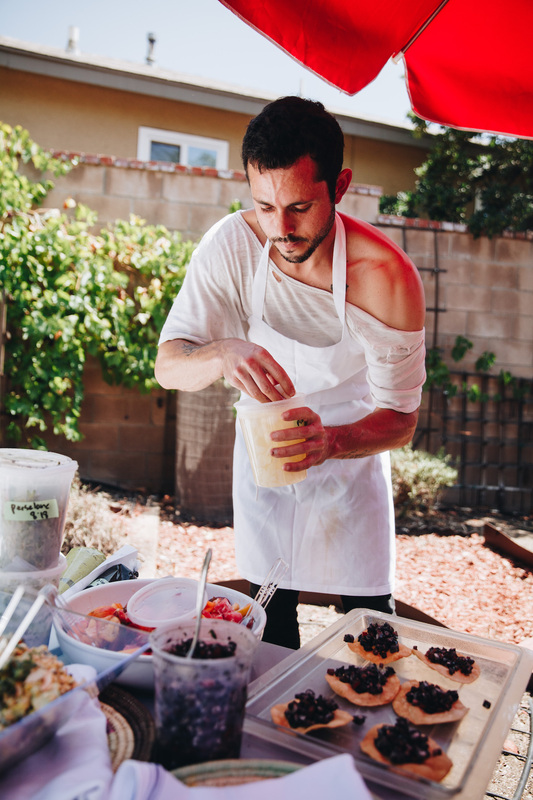 With Chef Ari Taymor of The Standard Hollywood’s Alma manning the grill and our guests lounging poolside, sipping Health-Ade Kombucha and intermittently dipping into the turquoise blue water, it felt like the summer camp of our dreams. 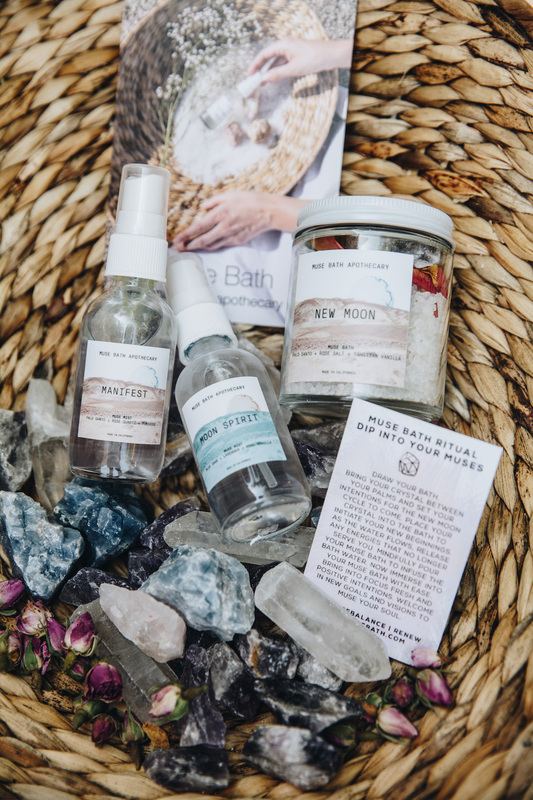 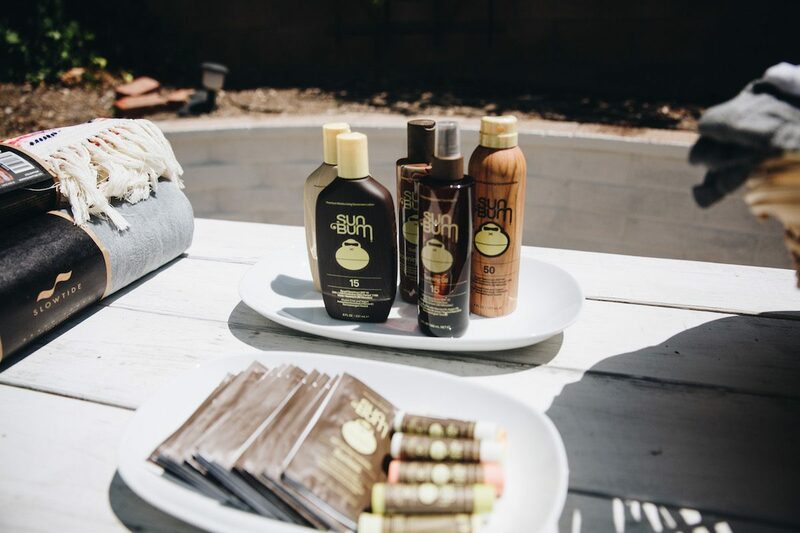 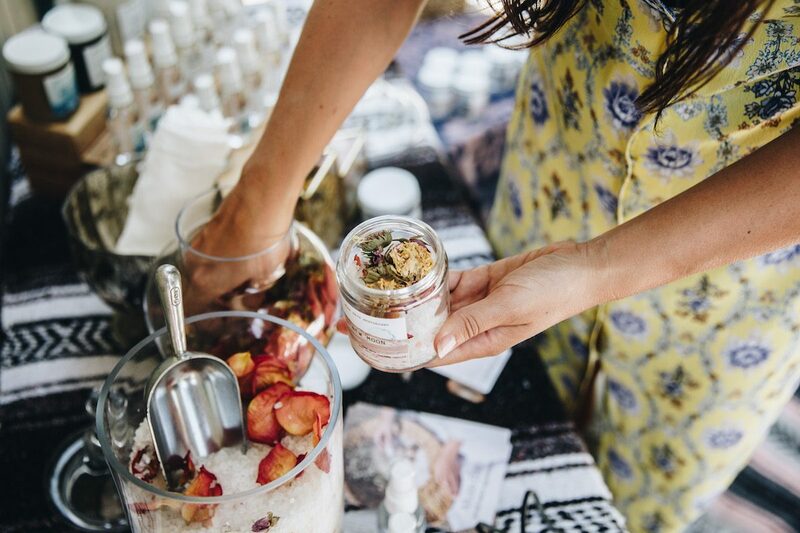 Our friends over at Muse Bath joined us, nestling under a shady oak tree in the backyard to guide us through making our own New Moon ritual bath kits. 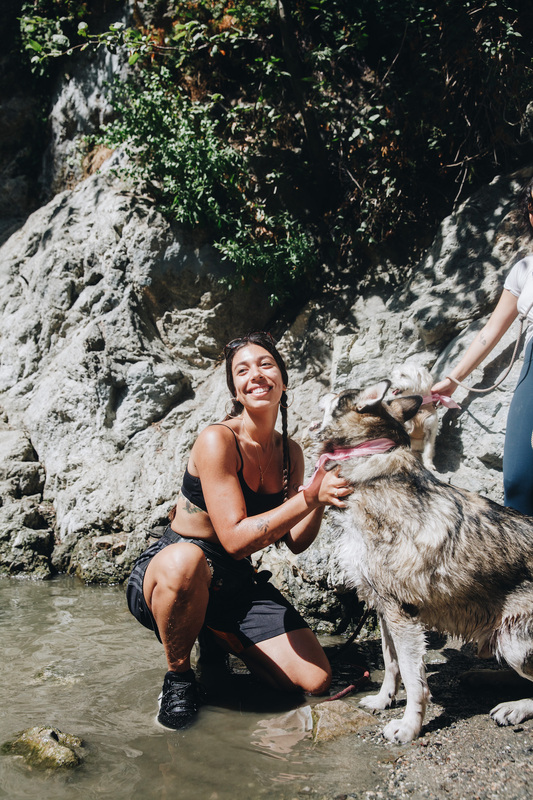 We cast our intentions, had our auras spritzed and commenced our elevation to complete and total bliss. 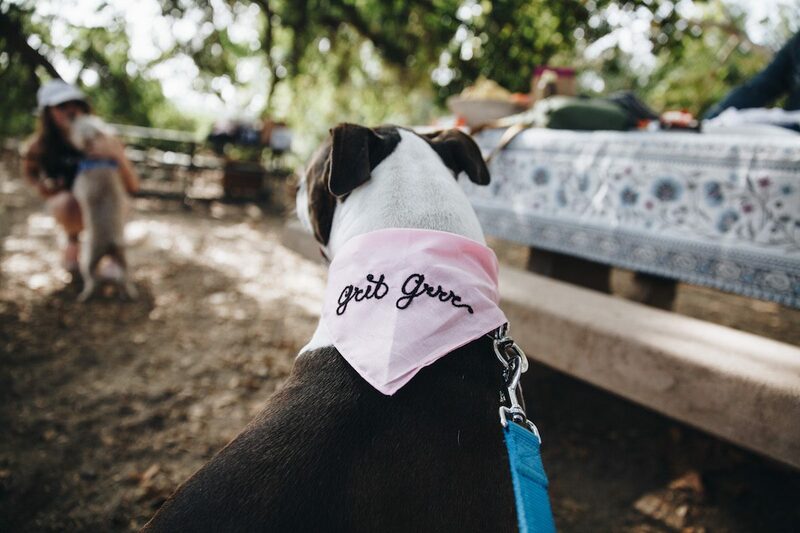 Apart of what makes Grit Girl Hike so special is the brands who come together to support the initiative. 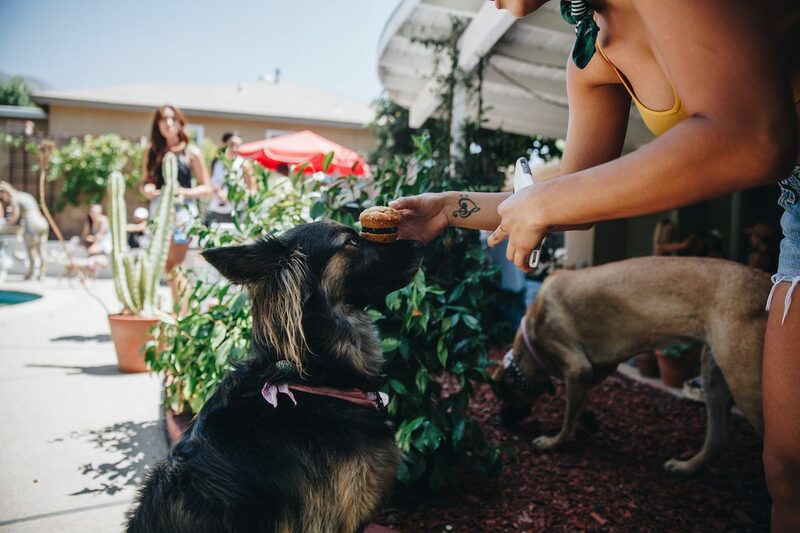 Richer Poorer’s basics are everything and our girls couldn’t get enough of their muscle tank. 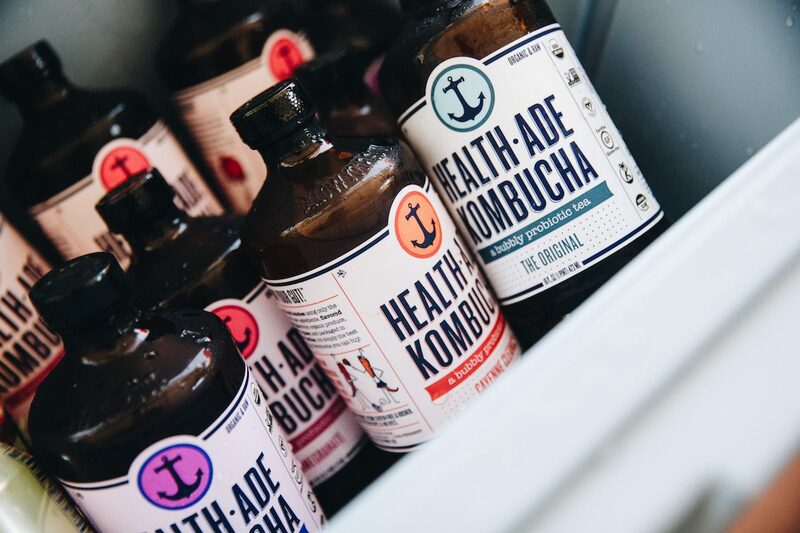 A big thank you to Slowtide, Health-Ade Kombucha, Sunbum, La Croix, Muse Bath, The Hundredth Acre, and, of course, Richer Poorer.